, a stylish trendsetter, an innovative mediator between industry and specialized trade as well as a future-oriented trigger and a source of inspiration. 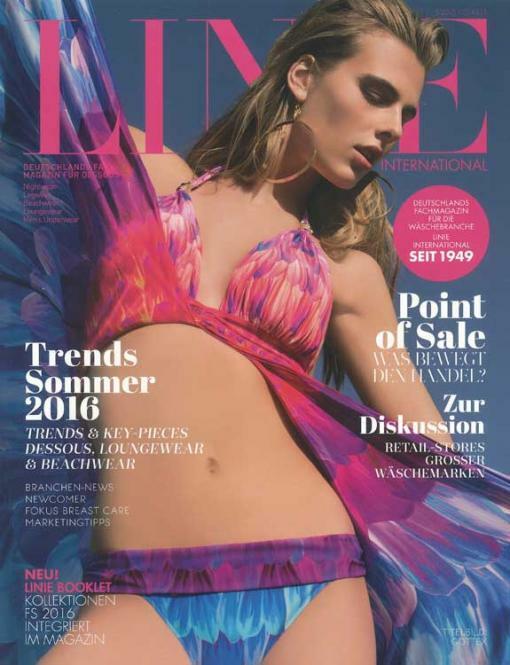 LINIE INTERNATIONAL offers background information, innovations and market analyses to the subject areas underwear, Men's Underwear, Beach-, Home-, Night- and Leg wear. In addition, LINIE INTERNATIONAL presents interesting facts and news to fibers, materials and accessories for the laundry production. Accessories all around laundry and sensuousness complement the varied and important branch subjects. LINIE INTERNATIONAL presents, in word and image, what will influence the Body wear branch in close and distant future, reports about national and international social and stylish currents as well as their consequences on the laundry branch.